Theater Down South is one of the newer entries into the country’s burgeoning theater scene and the only one that caters specifically to audiences in the South Metro area. Addressing the needs of the residents in Alabang, Parañaque, Las Piñas and points further down south, the company is dedicated to providing quality family and educational entertainment for the communities in these areas. 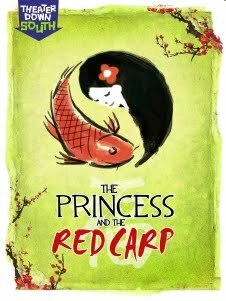 This year, Theater Down South adds two more musicals to their repertoire: “The Princess and the Red Carp,” an original children’s musical based on the earliest known retelling of the Cinderella story, and “A Funny Thing Happened on the Way to the Forum”, the Tony-award-winning musical by Stephen Sondheim. 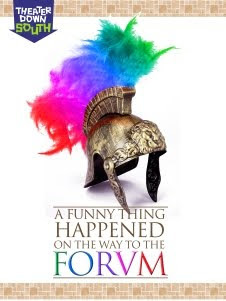 (Veteran stage actor Michael Williams, who is also the company’s Artistic Director, will direct both shows. With their latest offerings, Theater Down South hopes to welcome new audience members alongside returning patrons and to continue helping theater to thrive in the South Metro area. The company also has a strong educational component which they promote through their children’s shows and curriculum based productions. These shows feature thematic lobby exhibits, which provide pertinent historical and literary information about them. These exhibits contribute to a more immersive experience for the audience members, and help them gain a deeper understanding of what they are about to see. 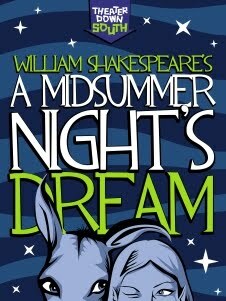 With “A Midsummer Night’s Dream”, for instance, a 3D replica of the Globe Theater was on display along with a graphic chart outlining the relationships of the characters in the play. For “Treasure Island”, the lobby was transformed into a beach with a shipwrecked boat and filled with informational posters about the history of pirates as well as the life of Robert Louis Stevenson, upon whose book the show was based. In addition, during shows for school audiences, study guides are given to teachers and the actors are made available for meet-and-greet sessions, open forums after the performance and even pre-show visits, to teach students about theater etiquette and what to expect from a live show. It is the company’s belief that developing an early appreciation for the art form will help create future audiences and perhaps inspire a new generation of theater practitioners too. This model has worked very well so far, with formerly apathetic students leaving the theater eager for more.